First of all- the Fear Itself sets look absolutely stunning. 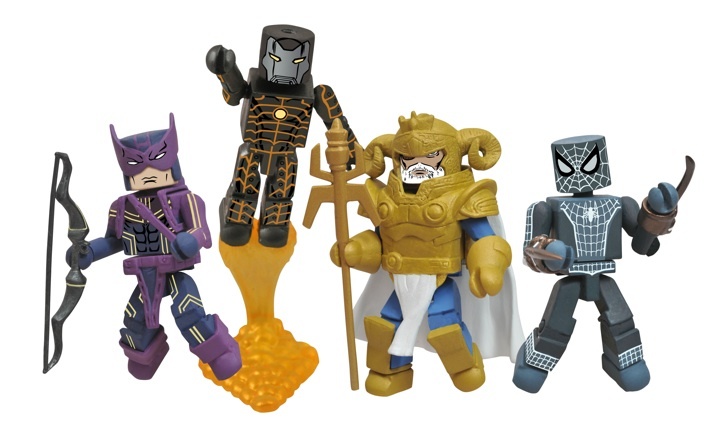 These are some really great designs from the Fear Itself crossover that hit Marvel's universe not all that long ago and the Minimates based off the grand arch look nothing short of stupendous. I'm absolutely loving that Iron Man. 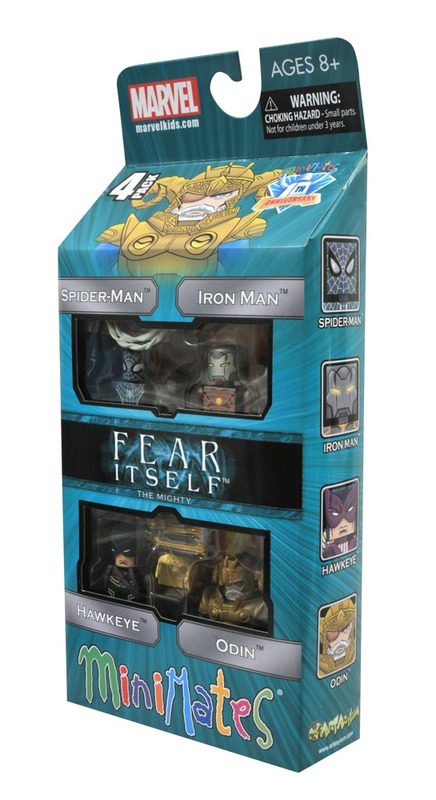 Fear Itself Marvel Minimates: The WorthyTo commemorate the Earth-shattering Marvel storyline, Diamond Select Toys is releasing two box sets of Minimates! 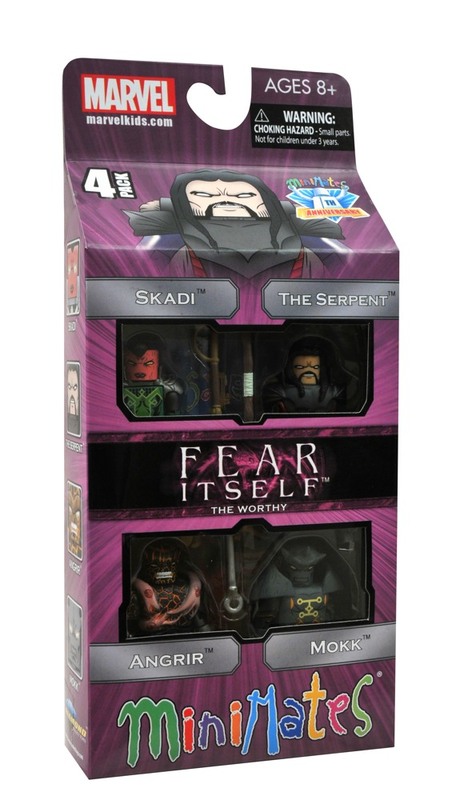 The Worthy box set includes Cul, The Serpent (the Asgardian god of fear); his herald Skadi (a.k.a Sin, the Red Skull's daughter); Mokk, Breaker of Faith (formerly the Grey Gargoyle); and Angrir, Breaker of Souls (formerly the ever-lovin' blue-eyed Thing). Each comes with a massive hammer, and the Serpent also comes with his staff. Who will face off against Cul's Worthy? The Mighty box set includes Asgardian All-Father (and Cul's brother) Odin, as well as Spider-Man, Hawkeye and Iron Man in their Asgardian-made costumes and weaponry, blending magical uru metal with Tony Stark's repulsor technology. Plus, Iron Man features a rocket base, Hawkeye has a quiver full of arrows, and both include interchangeable mask and hair pieces! 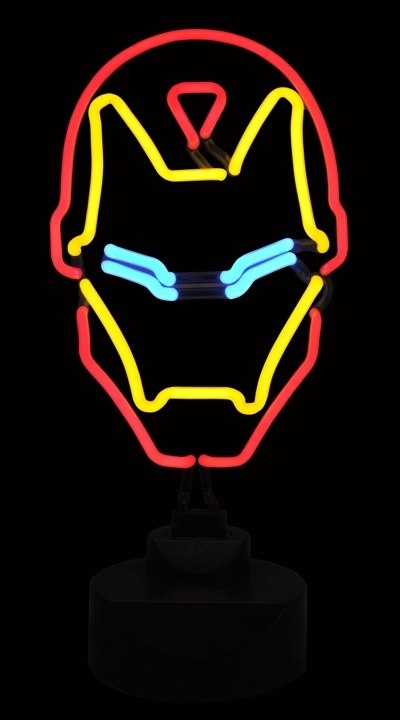 And speaking of old shell head, I mentioned neon Iron Man and this week does in fact bring just that to your local store. 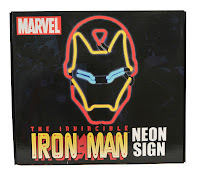 The full on, neon illuminated, helmet of the armored Avenger is ready to shine a light on your collection- or just in your bedroom as an awesome nightlight! 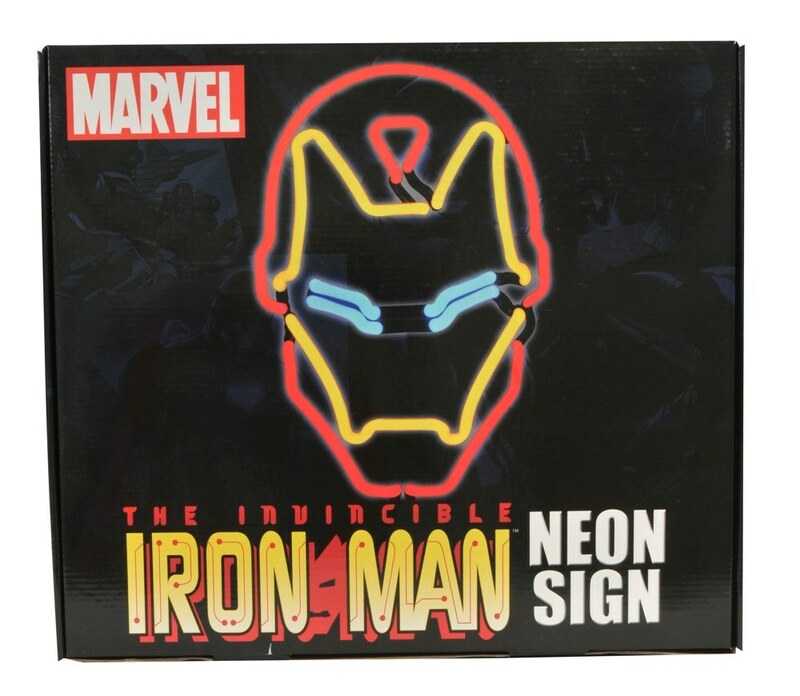 Diamond Select Toys' line of Marvel Comics-based neon signs has been joined by a brand-new sign featuring the Armored Avenger, Iron Man! 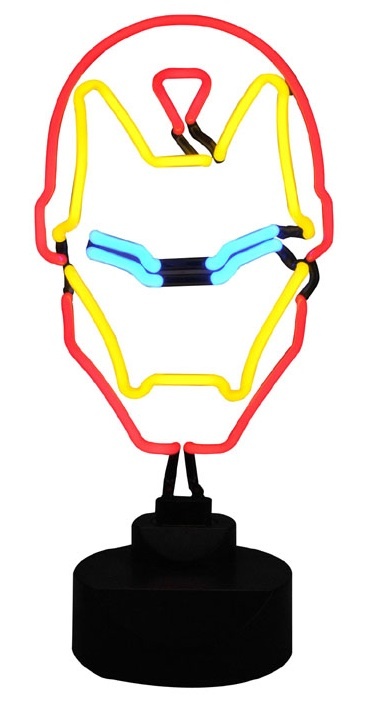 The 11.5-inch-tall face of ol' Shellhead lights up in bright red, yellow and blue atop a versatile display base, so you can hang it on your wall or stand it on your desk!